Lyndsey's 10th round of chemo. LYNDSEY CONNOLLY WAS diagnosed with Hodgkin’s lymphoma in November 2013, at the age of 25. She was in hospital with meningitis when a chest X-ray revealed the extent of her illness. Lyndsey, from Blessington in Co Wicklow, underwent treatment in Tallaght Hospital for about seven months. She had 12 sessions of ABVD chemotherapy before being given the all clear in June of this year. She is a co-founder of YouCan Ireland, a nationwide support service for young adults in their 20s and 30s who have or have had cancer, and their families. To provide a nationwide support system for young adults with cancer, advocate for consistent and age-appropriate, respectful care that supports young adults with a cancer diagnosis, educate the public and medical profession on the experiences of young adults with cancer, and to be the face of young adult cancer. Lyndsey says that she and others decided to set up YouCan Ireland because there is a “severe lack of services specifically designed for young adults (with cancer)”. In early February 2015, YouCan held its first meeting at a community centre in Dublin city. In 2016, the group plans to set up meetings throughout Ireland. 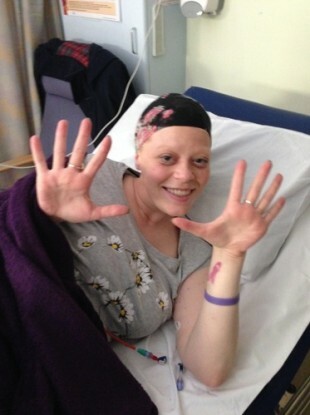 Lyndsey describes getting the all-clear as “incredible”, but says she has struggled to re-adjust to life after cancer. It’s like feeling you can breathe for the first time again. You’re holding your breath for so long … but that’s when the second battle begins. Where do you go? You’re changed completely. It’s like you’re broken and you have to pull yourself back together, and it’s when you need people and you need support and it’s not necessarily always there. She thinks YouCan Ireland will help fill a void and provide support to young people in similar situations to her own. More dates are to be confirmed. Further details about YouCan Ireland can be found here. Email “'Cancer doesn't discriminate': Young adults support each other after a diagnosis”. Feedback on “'Cancer doesn't discriminate': Young adults support each other after a diagnosis”.